Yet when you speak to police about what’s happened, do they use the word “arrested”? No. Police will tell you the youth was “taken into custody,” which for a juvenile is the same as arrest. This is one of many different terms child welfare professionals must understand when working with youth who come in contact with the juvenile justice system. 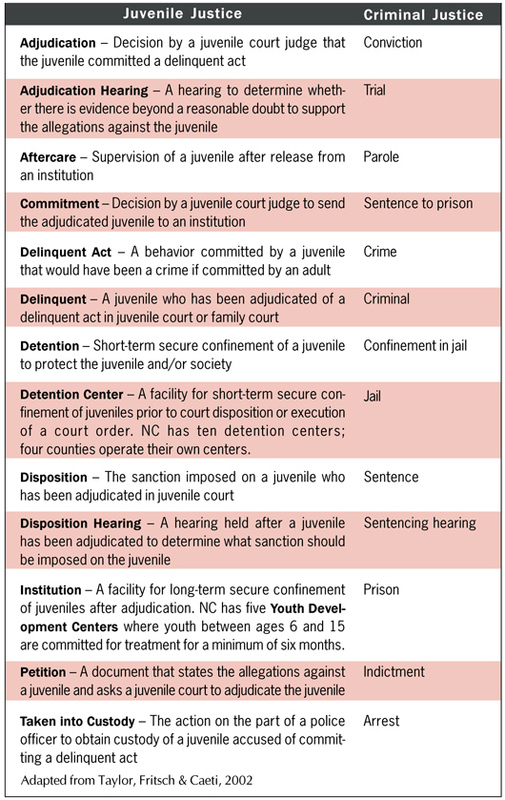 To help you we provide the following outline of the different terms used by the adult and juvenile justice systems.